Car insurance bills are something that looms over every driver, a necessary evil. But wouldn’t it be great if you could lower your car insurance with one simple improvement to your vehicle? Buying a dash cam could lower your insurance premiums and provide extra security against car accidents. But what is the best Dashcam on the market at the moment? In this guide, we take you through a selection of the best front and rear dash cams available, as well as the relevant dash cam reviews, to help you find the best model for you and your car. 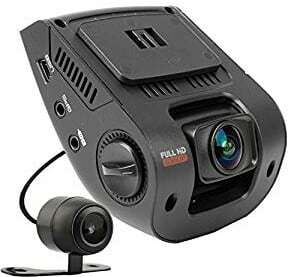 A Dash Cam is a small camera fitted to the dash or rear dash of your car. These cameras are designed to record your driving, as well as recording everyone else’s driving too. Generally, dash cams are integrated into the circuit of your car, and only run when your car is running, making them easy to run and leaving you not having to worry if the battery runs out. Whilst your car is running, so is your Dash Cam, meaning there is no worry about remembering to click record at the start of your journey. But what are the main types of Dashboard Camera? How to choose the best Dash Cam for you? The Basic Dash Cameras: This is where the majority of Dash Cameras will fall. These simple cameras are a no frill device and are more likely to be wired into your car; however, some may be connected through the charging point in your car. These cameras are the most popular choices for modern drivers. Advanced Features: These cameras are for the more high-tech drivers. Like police Dash Cameras, these cameras can include Audio Recording, GPS, Speed Sensors and Accelerometers. The best feature of these cameras is their uninterrupted power supply, meaning that if your car’s power is compromised in an accident, they can still record. It also means that you can leave your camera recording whilst your car is off, and it won’t drain your battery. Interior and Exterior Cameras: Whilst the thought of having a camera pointed at you may be unnecessary, it can provide vital extra evidence if you are involved in an incident. A camera that could prove that you were driving safely without distraction could be the difference between your innocence being proven or ending up with unhappy consequences. Many drivers think a simple forward-facing dash cam will be good enough for any eventuality. However, with the heightened technology, there is now the option to have a rear-facing camera too. Whilst some drivers, particularly those with larger vehicles may not think this a necessity, having eyes where you don’t can only improve situations where certain parties may try to take advantage. Equally, if you own a fleet of vehicles or manage to professional drivers, having cameras that face your drivers will help you ensure that they remain professional and don’t break any rules. You also need to think about what you are going to record. With the advent of social media and blogging, some people enjoy filming their driving experience, so if this is your ulterior motive, then choosing a higher spec camera will be important to you, and if you want to chat as well, having one that records sound would be a bonus. The main thing you need to think about is your vehicle. Whilst the word “Dashboard” is featured in many adverts, they may be suited for other vehicles like a pushbike, motorbikes or even horseback riders. Make sure you buy a camera suited for your activity, the last thing you want to figure out is how to charge your Dash Cam on your Horse. If you are looking for something intergrated and sleek then take a look at the Garmin drive assist review which has a built-in dash cam. Now all that’s left is for you to choose the perfect Dashboard Camera for you. Take a look at our Dash Cam reviews below. The Old Shark Dash Cam is a basic Dashboard Camera, perfect for any driver wishing to add extra security to your driving. Have a look at the reviews below to see if this is the best model for you and your car. This dash cam is really simple to use – all you need to do is just plug it in and go. The best part about this camera is its collision feature. The camera locks instantly on collision, meaning you will never lose footage that could help you in a car accident. It is also powered by your car. The camera plugs into your cars charging point, making it perfect for any busy driver. Plus, it includes a parking mode. This means it automatically begins to record when it detects motion, making sure that if your car is damaged when you are not around, then you will never miss a claim. It does have quite basic recording features, although it records video in good quality. This basic camera is a fantastic buy and would be an asset to anyone’s driving experience. Plus, it looks good in your car and will not leave you feeling distracted from the road while it is in use. This camera is easy to use and has some extra collision features, making them perfect for any driver. Q: Does this start recording as soon as you start the car, or do you start recording manually? A: The Dashcam starts recording when you start the car. 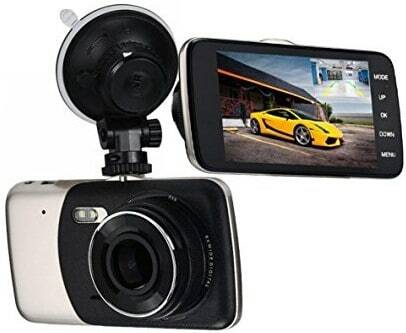 This camera can record both front and rear views, giving you whole car security. It's small and discreet as well as being easy to use. Take a look and see if this is the right one for you. 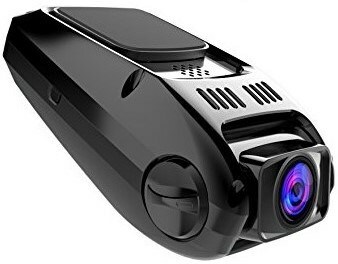 This model of dash cam features both front and rear cameras. This means that it is recording both ends of the car and running off one circuit, making them easy to use. However, it also means that you can capture everything that is happening at all times. It also features loop recording and a high-resolution camera. It also has a very discreet design. This camera is small and very compact, providing extra security when leaving them in the vehicle. So, you can rest assured that your car is unlikely to be broken into when you leave it in the drive or a parking lot. It has to be wired in. Whilst this camera offers everything you may want, if you are not technically minded it may be difficult to install. 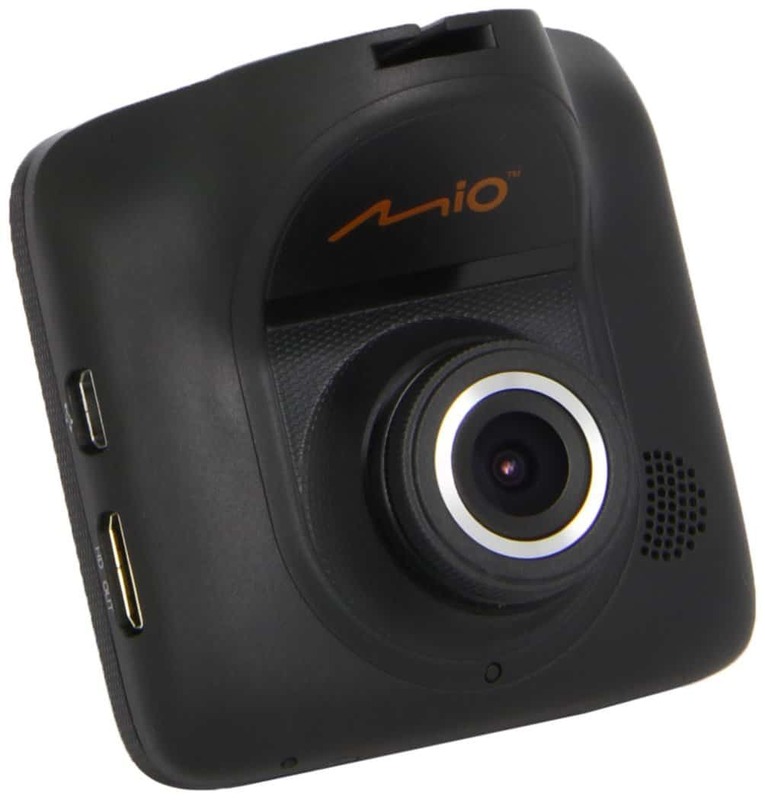 This camera is small and sleek, and also records front and rear views. This is perfect for bother the leisure driver as well as a professional. The only downside is it needs some significant setup, but the compact design will make it less noticeable to the light-fingered, so once it’s in and set up, then you are away. 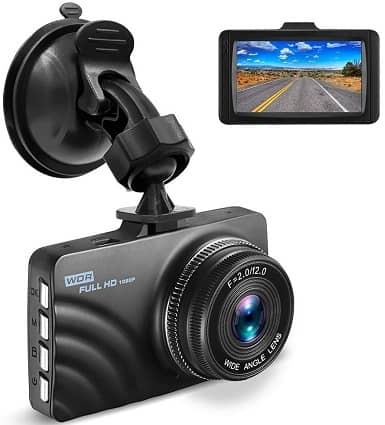 This advanced Dash Cam is perfect for any long-distance drive, with its collision technology and GPS system; it makes one of the highest tech pieces of equipment on the market. This dash cam features a High-Tech System, which means that it has impact technology, as well as measuring turns and acceleration. It also has an integrated GPS System: Means that as well as recording your journey, you can record your position. Compact and Easy to use, you can fit it in your car without it becoming a distraction while you drive. So, as well as being high tech, it's small and simple to use - making it perfect for any driver. Whilst this piece of technology is super high tech, it carries a fairly heavy price tag. This product is super high tech, and it’s easy to use. Making it perfect for almost anyone. Whilst this product is virtually untouchable as far as quality goes, the only thing making it slightly undesirable is the price tag, but if you're happy to pay for quality, then this is the product for you. Here are some other Dash Cam models, in case the ones listed above did not suit your needs. This dual dash cam not only records front view but has another smaller camera for a rear view as well. It features motion detection technology as well as having a GPS system built in. Like most cameras it features collision sensor technology, making sure you don’t have to worry about clicking the record button if something were to happen. This simple little camera provides everything you need in a Dash Cam, as well as being super affordable. It features everything you would want in a simple Dash Cam, as well as collision sensors and advanced driving systems, allowing you to stay within your motorway lines and alerting you if you leave them, perfect for long-distance drivers. Whilst we haven’t been able to include all of the amazing brands out there, there are many other Dash Cam companies for you to think about. Snooper: Not only making amazing Dash Cams, but they also specialize in truck driver technology. They have safety on the mind and are definitely a company to consider. Next Base Dash Cams: Next Base has become one of the UK’s leading Dash Cam manufacturers. They make everything from simple to advanced Dash Cams, so will have something for everyone. Garmin: Whilst Garmin have been famed for their SatNav’s they have also branched out into Dash Cams, so if you are already a fan of their products then they may be the company for you. 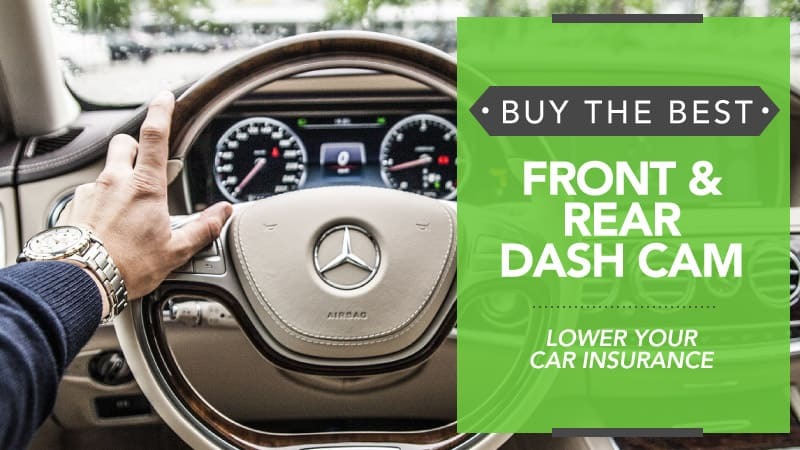 Whilst to some, Dashboard Cameras may seem unnecessary to many, they are becoming a necessity and whilst many may not believe it, but they will reduce your insurance payments by up to ten percent, and with some companies even more. This small piece of technology could change the way you drive as well as saving you money. With each model having different features and price ranges, it is hard to choose the best front and rear dash cam, but one of these is sure to have exactly what you were looking for. What did you think of our Dash Cam selection? Are there any that you would have added? We love hearing from you, so feel free to leave us a message in the comments below.